New MAC Collection by Mariah Carey. New MAC Collection by Mariah Carey. 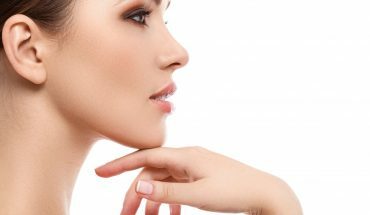 – Be even more beautiful! Lipsticks, lip glosses, eyeshadow, blushes, false eyelashes, brushes. 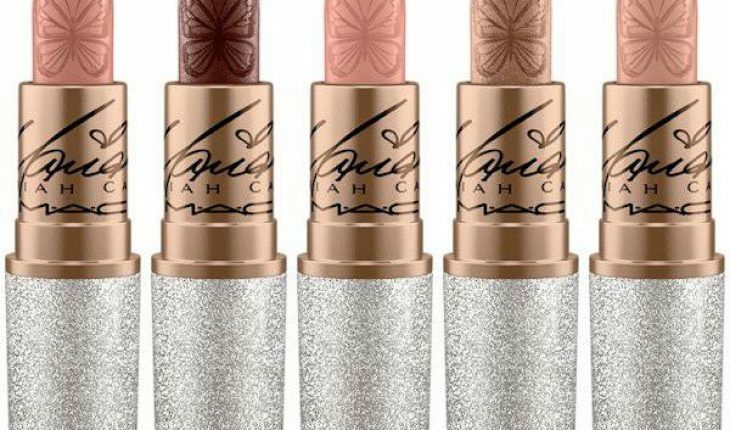 These are the products and gadgets which are included in the latest MAC collection created in cooperation with Mariah Carey, famous American singer. The products delight with sparkling colours and original design. You must try them out! Lip make-up by Mariah Carey. This part of collection includes five lipsticks, five lip glosses and two lip pencils. The lipsticks come in pink, beige and brown shades. The sticks have a butterfly imprinted whereas the packaging is decorated with the singer’s autograph and silver brocade. MAC lip glosses are as beautiful as the lipsticks. They deliver shimmering finish of the lips make-up. You can choose between shades of pink and orange. Lip glosses contain the following oils: coconut, babassu, apricot and jojoba. The American singer’s collection also offers two lip pencils: light pink and brown. They make a perfect match with lip make-up, and define the shape of lips. Eye make-up by Mariah Carey. It also must be beautiful and shiny. MAC collection offers beige and brown eye shadows (well-pigmented). They don’t fall down on cheeks or settle in the crease of eyelids. They can be applied dry and wet. You can complement the eye make-up with an eyeliner in a golden packaging and false lashes – the same Mariah Carey wears for her concerts. Face make-up by Mariah Carey. MAC collection offers product for face make-up as well. These include: powder with shiny flecks, orange and pink blushes and a highlighter in form of a liquid powder. Loose powder delivers velvety finish and good coverage. The blush makes skin look fresh and radiant. The highlighter defines face contours, evens out skin tone and adds natural shine. How to apply MAC products? 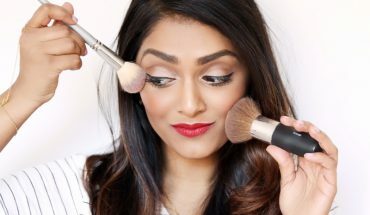 The collection contains two brushes: wide and thick one for powder and other face make-up cosmetics; a small and narrow one – perfect for eyeshadow blending.